Depending on your landscape, you will most likely want to see a mixture of both deciduous and evergreen trees and shrubs. 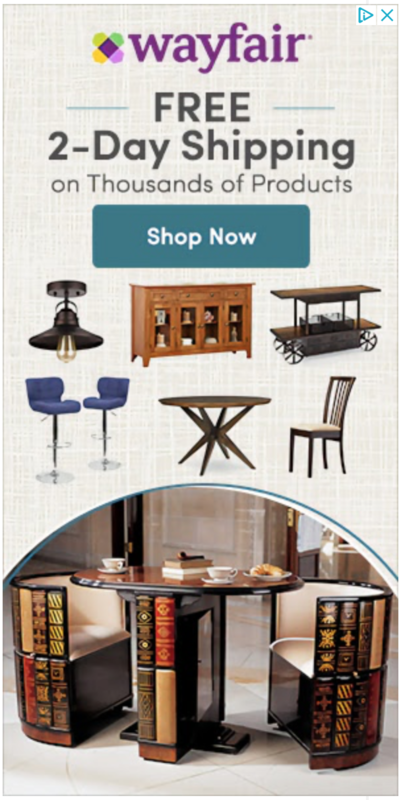 Each displays starkly different characteristics and the care for them differs as well. If you are asking “What’s the difference?” you are not alone. In this article, we will clearly define the two and take a look at the characteristics of both deciduous and evergreen species playing a part in your year-round landscape. Simply put, a deciduous tree is one that loses all of its leaves in late fall , then grows new ones as it awakens from dormancy in early spring. 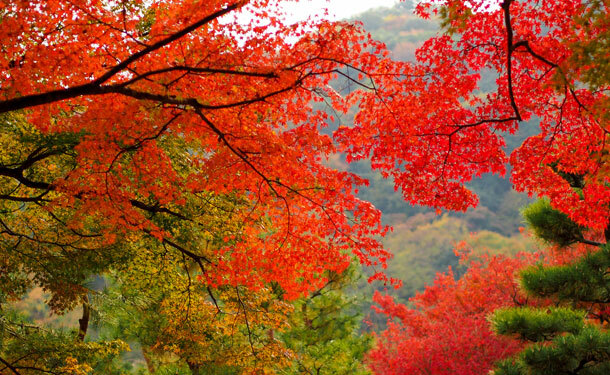 In early fall, as the temperature drops, it is easy to spot deciduous trees. Their leaves begin to change colors and by the start of winter, have fallen to the ground. There is an interesting aspect to this process. The fallen leaves form a sort of insulation around the tree keeping the roots warm during winter. Then, as the leaves decay, they provide nutrients to the soil and the tree, keeping it it healthy. The name says it all. Evergreen trees remain “green” throughout the seasons. While their counterparts (deciduous trees) lose all of their foliage in the fall, evergreens continuously regrow what they may lose. As evergreens gradually replace their leaves or needles, the litter having a high carbon-nitrogen ratio creates an environment for the soil which becomes higher in acidity and lower in nitrogen. This, combined with year round shelter from existing evergreens creates optimal conditions for the growth of new evergreens. Besides maintaining their foliage and color year round, evergreen trees are also known as privacy trees. The most sought after privacy tree in the US is the Leyland Cypress, while the American Holly Tree is the ideal evergreen for hedges. 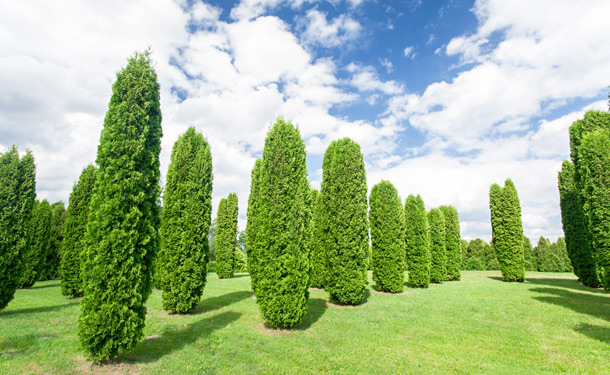 Other popular evergreens include Emerald Green Arborvitae, Juniper, and Italian Cypress trees. All of which contribute to a beautiful year round landscape. Before purchasing a tree, it is important to understand the implications of the species. Particularly if it is deciduous or evergreen. If it is privacy for your home and yard, the obvious choice is an evergreen species. If you love the broadleaf fall spectacle of changing leaves (and raking them up), a deciduous species is perfect.